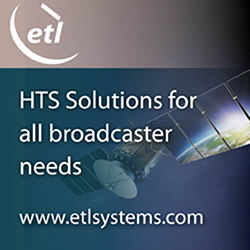 [SatNews] The Russian national satellite operator, Russian Satellite Communications Company (RSCC), and the public corporation Yuzhmorrybflot (the Russian Fish Company), which belongs to the Group of Companies Primrybsnab, have concluded a contract on providing satellite communications services. Using the capabilities of the RSCC VSAT network, Yuzhmorrybflot will be able to implement its project on merging the entities of the Group of Companies Primrybsnab, including the maritime vessels, into a unified corporate network. Planned are 20 satellite terminals operating in the network. Introducing the satellite communications system on the Yuzhmorrybflot vessels will provide the ship’s companies with high-quality affordable communications with their relatives and friends as well as with Internet access, multi-program TV, and it will enable onshore operative management of the vessels as well. For implementing the project that corresponds to the world standards in the communications industry, the central station of the VSAT-RSCC network deployed in Khabarovsk has been involved. 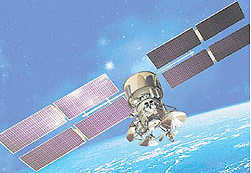 The station operates via the Express-AM3 satellite (140 degrees East) which enables the VSAT terminals in Eastern Siberia and the Far East to be connected to the network. The project will employ sea antennas for transmission and synchronization of databases, Internet access, telephony, and the reception of digital TV on board maritime vessels.